The statistic shows automotive industry's spending on augmented and virtual reality (AR/VR) worldwide in 2017 and 2025. 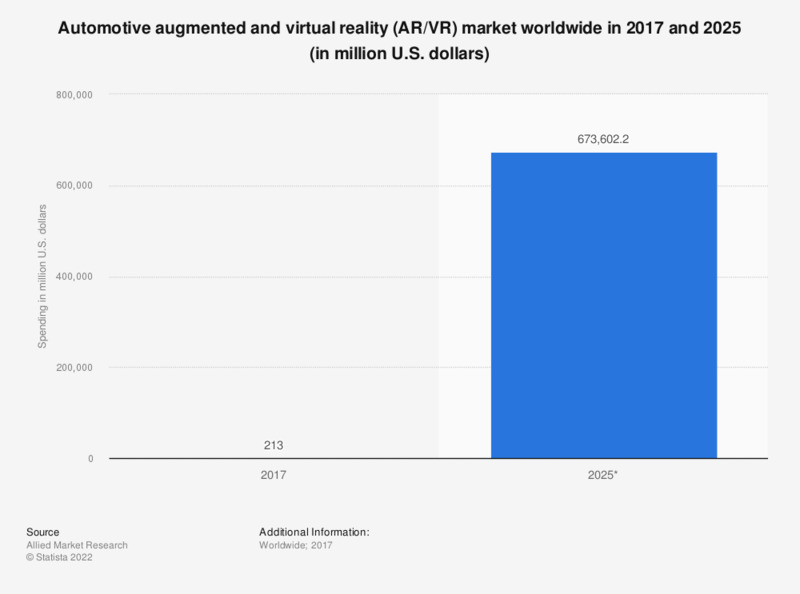 In 2025, the global automotive AR and VR market is forecast to reach about 673 billion U.S. dollars, with a CAGR of 175.7 percent from 2018 to 2025. Technological advancement in connectivity is a major reason that drive the fast growth of the market.